The sun rises over the rocky ridges of the Sierra Nevada Mountains in California. 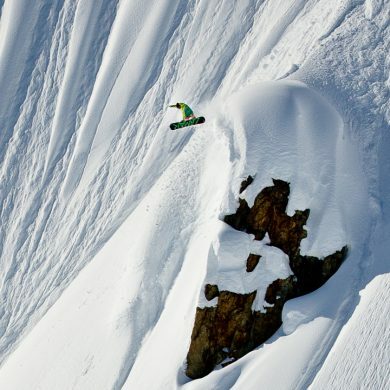 Photo: Nick Kalisz / Teton Gravity Research. 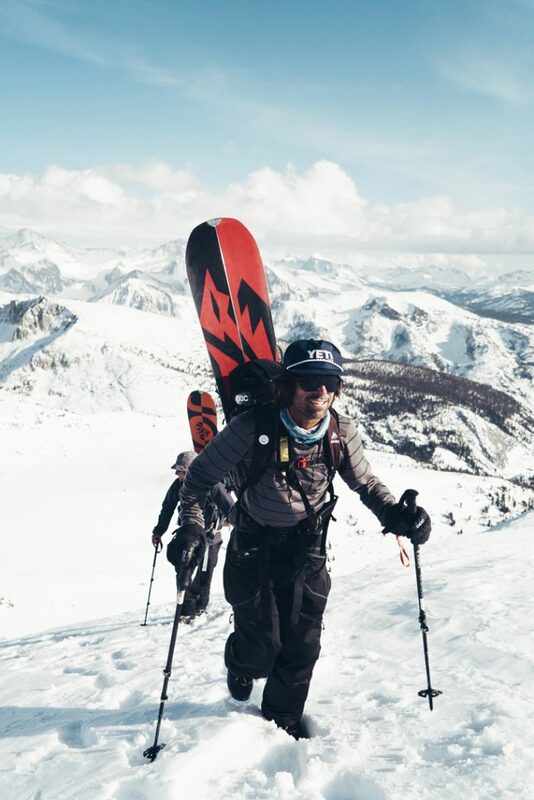 How Jeremy Jones is nurturing a movement of politically engaged outdoor enthusiasts. For environmental activists, the election of U.S. President Donald Trump was a devastating blow. It would mean the end of the U.S.’s involvement in the Paris Climate Agreement, the unraveling of the Clean Power Plan, that climate deniers would find their way into top policy positions, and the list goes on. 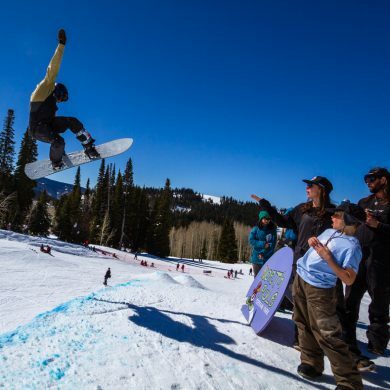 In one day, the clock was turned back on years of advocacy work by folks like pro-snowboarder Jeremy Jones and his team at Protect Our Winters. A despondent Jones rode his bike to work the day after the presidential election. Crisp air and the natural beauty around him in Truckee, California, was a potent dose of caffeine. It pulled him out of his post-election stupor. He knew the fight would continue. And in the 2018 U.S. midterm elections, they would replace climate deniers with climate champions. They did. Political activism is nothing new for Jones. Since founding the environmental advocacy group Protect Our Winters in 2007, Jones has traveled to Capitol Hill countless times. He’s met with state and federal lawmakers. He’s canvassed neighborhoods, spoken at rallies and inspired the action sports community to make the connection between their love for outdoor adventure and the vitality of the planet. Still, with a climate denier in the White House, he knew he needed to do more. So he went outside with some cameras and invoked the spirit of one of his conservation heroes. Elena Hight negotiates some tricky footing while fully loaded and donned in snowboard boots. Photo: Nick Kalisz / Teton Gravity Research. 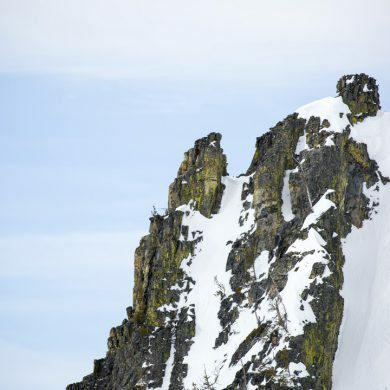 The Sierra Nevada, Jones’s backyard, became the setting for his “most important film” to date: Ode to Muir, released in 2018 by Teton Gravity Research. For the past 15 years, John Muir’s manifesto, My First Summer in the Sierra, has lived among Jones’s expedition gear. Finally Jones would bring the legendary naturalist and author along for one of his outdoor adventures. In Ode to Muir, Muir’s words are scored to shots of nature’s rumbling silence. More than a century old and yet stunningly ageless, Muir’s musings about nature are given new life and meaning. Olympian and POW ambassador Elena Hight joined Jones in what was her first multi-day winter backcountry camping and splitboarding experience. Although a neophyte to Jones’s wild world of first descents and foot-powered missions, Hight, ideologically, was an obvious choice. She uses her public platform to discuss environmental issues like climate change and pollution and speaks across the country at events. Filming Ode to Muir reaffirmed her efforts: “It has completely shaped the path I want to take and given me a spark,” she said. The lessons contained in Ode to Muir will inspire more people to protect these wild places too, Hight added. 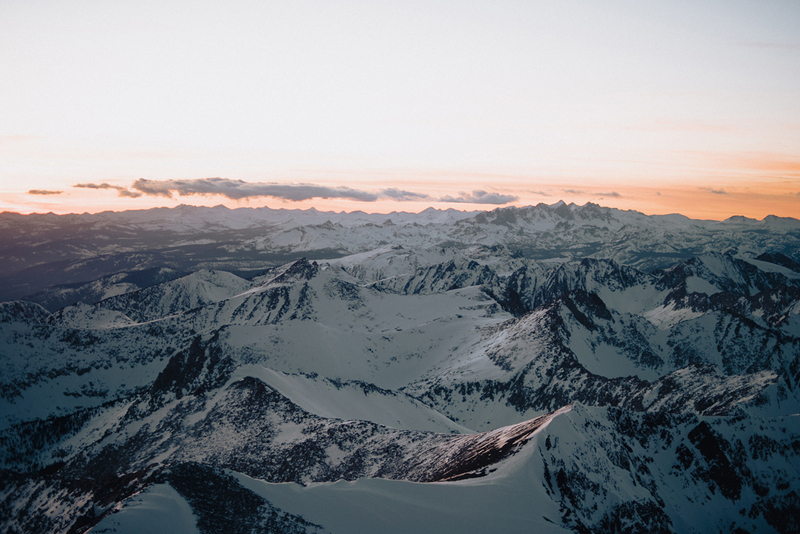 Jones and Hight embarked on a 40-mile foot-powered adventure into the John Muir Wilderness to not only explore, but also reflect on the importance of these sacred wild spaces. Jones used the Sierra Nevada to unpack symptoms of a warming climate for his audience: drought, more wildfires, loss of agriculture and irreversible changes to the environment. Throughout the film, Jones is candid. He grieves about the disconnect between lawmakers and the outdoors. “You got to get in nature, then fall in love with nature, to want to protect nature,” Jones says in the film. “I don’t think our elected officials value it as much as they used to. Historically you look back and it was a big deal for businessmen and politicians to go and sit by the campfire and see the stars.” Muir’s great, great grandson, Robert Hanna, noticed that problem, too, and did something about it. 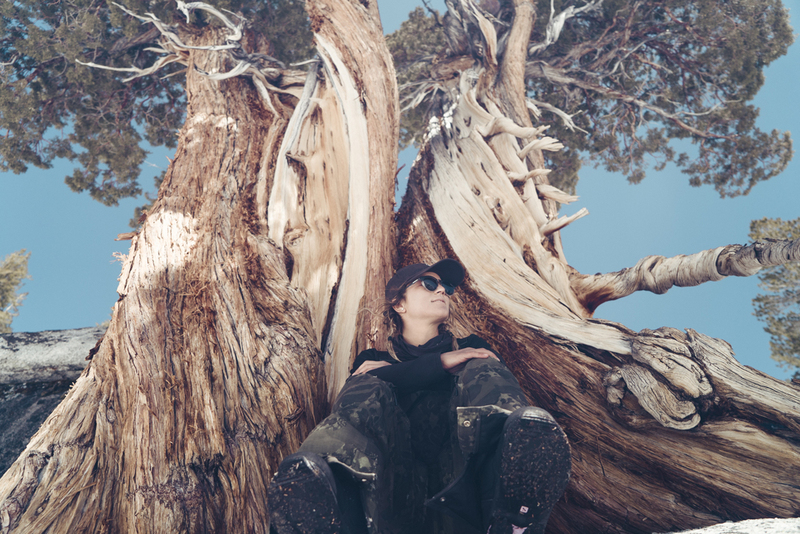 Elena Hight rests in the shade of a foxtail pine near the treeline. Photo: Nick Kalisz / Teton Gravity Research. Three years after the 2008 recession, California was scrambling to revive the state’s economy. State lawmakers brainstormed various solutions. One option they considered: cutting funding to 70 of California’s state parks. On the chopping block was Mono Lake, the oldest lake in the western hemisphere. Hanna was horrified, for he spent his childhood at that desert gem. So he took a page from Muir’s playbook. In 1903, Muir brought U.S. President Theodore Roosevelt to Yosemite on what would become a pivotal three-day camping expedition. More than a century later, Hanna took Kristin Olsen, a California State assembly representative, and California State Senator Ted Gaines canoeing on Mono Lake. That outing was a smaller piece of a bigger grassroots effort but it helped shift the tide. California legislators voted to save all 70 parks. Muir’s life “is an exact reflection of something that all of us can look back at, and say, ‘That’s how one voice can change the world,’” Hanna said. A couple snowboarders walking in his great, great grandfather’s footsteps is definitely a first, but it’s “badass.” Indeed, Hanna insisted that if Muir were here today, he would have grabbed a splitboard and broken trail alongside them. 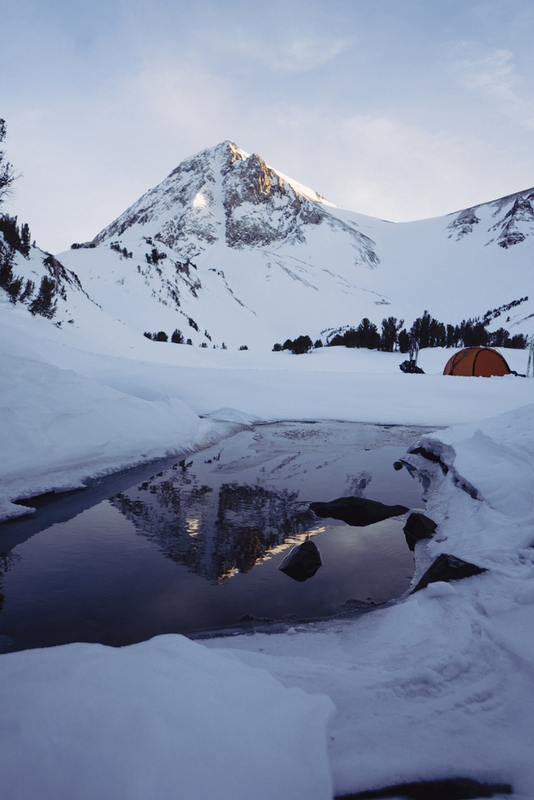 The TGR crew slept in dome tents in a high-alpine camp while filming Ode to Muir. Photo: Nick Kalisz / Teton Gravity Research. 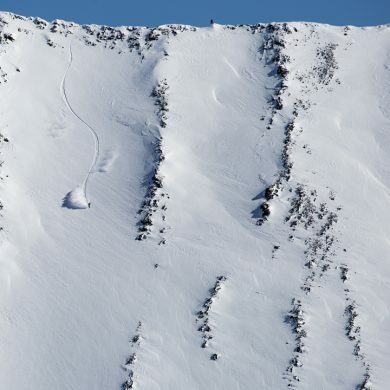 Jeremy Jones and Elena Hight approach a summit bathed in California sunshine. Photo: Nick Kalisz / Teton Gravity Research. While Jones knew that this story needed to be told, he had no idea how his audience would receive it. The reception at Ode to Muir screenings was different from any other film he’s shown. The emotion was palpable. The results of the U.S. midterm elections—Democrats regained control of the House of Representatives and climate friendly policy makers won in important battleground states like Nevada, Colorado and Montana—also brought Jones vindication. “It reminded me of an expedition, where election day was really summit day,” he said. Indeed, leading up to the election, POW ramped up its campaigning urging recreationists to keep climate issues front and center at the polls while Jones traveled the country screening Ode to Muir. The celebration, though, was short-lived. That same month, as people grappled with the aftermath of California’s deadliest fire, the Camp Fire, the Trump Administration quietly released the sombering National Climate Assessment. Trump officials released the report, a 13-agency, federally mandated study, the day after Thanksgiving. It was weeks before its originally planned release and while many Americans were unplugged—nursing turkey hangovers, watching football and shopping for Black Friday deals. Why did the Trump Administration hurry the report’s release on a holiday weekend? A look at the report is telling. It contradicts Trump’s climate denying rhetoric, outlining how climate change is already impacting people’s health and the economy in demonstrable ways. And it paints a stunning picture of the future: climate change will cost the U.S. hundreds of billions of dollars and drastically change American life as we know it. Katie Lozancich and Robyn Vincent like a good collaboration.